Mill Street, just off Wellington Ave in Downtown Chilliwack, is an excellent way to spend a morning or afternoon. Complete with Tattoo shop, boutique shopping, bakery, cafe and more. You'll want to make time to swing by and get your shop on. Learn more here. 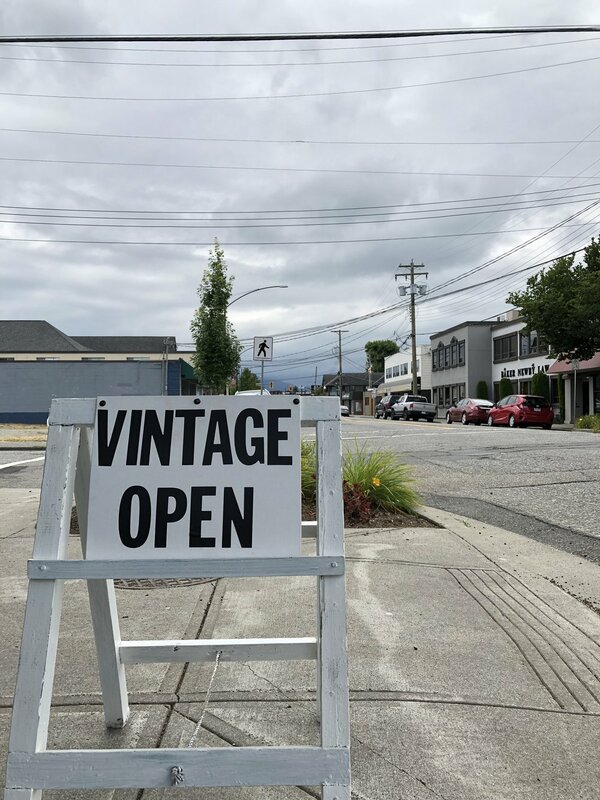 It’s been a couple months since Circa Vintage opened and the shop just keeps getting better and better. We stopped in recently to capture a small feel of what’s happening at the store and talk with Darby, the owner. Amazing ‘new’ (to the store) lamps, and blankets and a gas pump that you need to go in just to see; the shop is looking fantastic. Whether you’re searching for a unique gift or wanting to add “new” decor to your house, Circa Vintage on Main Street is your place to go. Keep an eye out in the coming weeks for their official grand opening and be sure to support this new downtown store by stopping by!